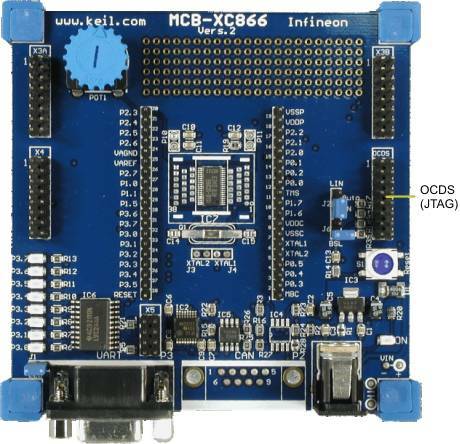 The OCDS (JTAG) Interface connector provides debugging and emulator support for the XC866 device. The OCDS (JTAG) Interface allows application debugging and programming of on-chip and off-chip Flash devices. The standard OCDS (JTAG) 16-pin connector works with the Keil ULINK and many third party tool vendors.